You know that search bar at the top of your website? Turns out it’s not just useful for your customers it’s a really useful feature for you too. 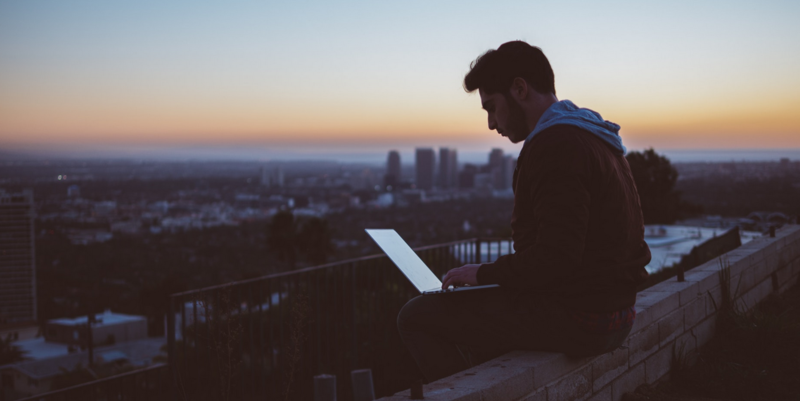 Depending what kind of company or industry you are in, the data collected by this search function may pull up all kinds of stories and angles that will generate a content idea that publishers will love. 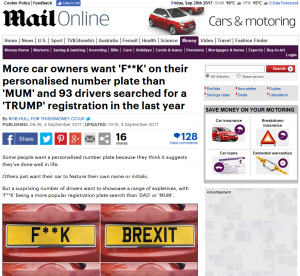 In a past campaign for a private number plate business, we analysed over 4 million site searches for personalised number plates. We found the following data that could be used as hooks for all kinds of publishers. Site searches mirrored popular trends, Paul Pogba inspired ‘dabbing’ was on the rise whereas TOWIE’s ‘Reem’ was on the decline. You can guess at what angle the Mail Online went with…. As above, your site search history will basically show what your users are interested in finding. This information can be used as a data piece of content but even more so it should be used to create content that satisfies these popular internal searches. You can use the above metrics to determine whether a popular and common search on your site is actually being satisfied or not. If the % search refinements is high they may not have found what they were looking for on the initial search. Likewise, if the time after search and average search depth are low figures it may suggest that that nothing really came up after the user’s search. It’s about satisfying that need for certain content on your site. If you do this in volume you will see a more fruitful interaction with your site and you can expect to start increasing time on site, assisted conversions and reducing bounce rate. You can even take these learning’s into improving your sites user experience as a site search can often indicate the user was not able to find what they were looking for logically on the navigation.